Affectionately known during the War as the "Wimpey", the Wellington was the standard R.A.F. night-bomber from the beginning of the last War in 1939 until it was partly superseded by the heavy 4-engine bombers in 1941. The Wellington took part in many of the 1,000 bomber raids. It was built in larger quantities than any other British bomber and in all 11,450 were produced. 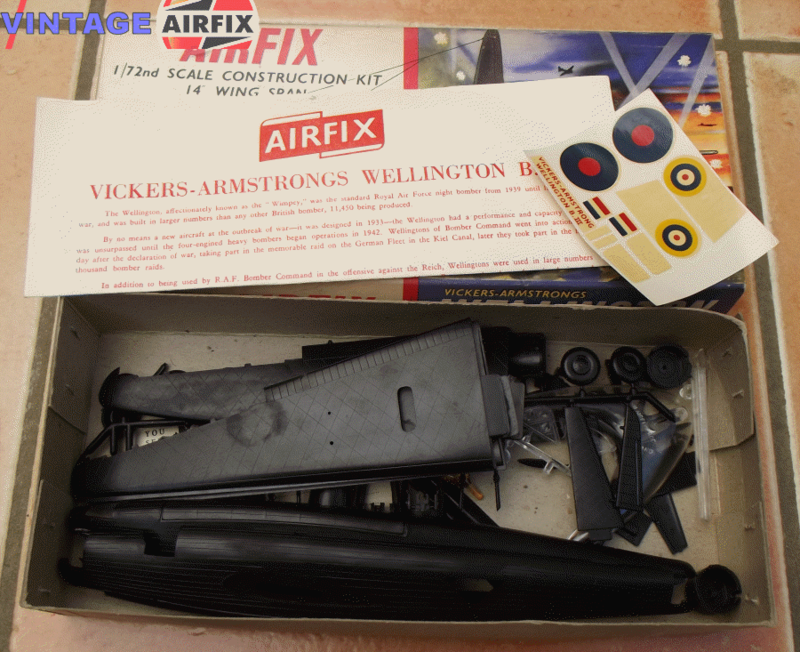 This Airfix kit which models a Wellington III from No. 75 (New Zealand) Squadron, and constists of 72 parts, has a wing-span of over 14 inches.